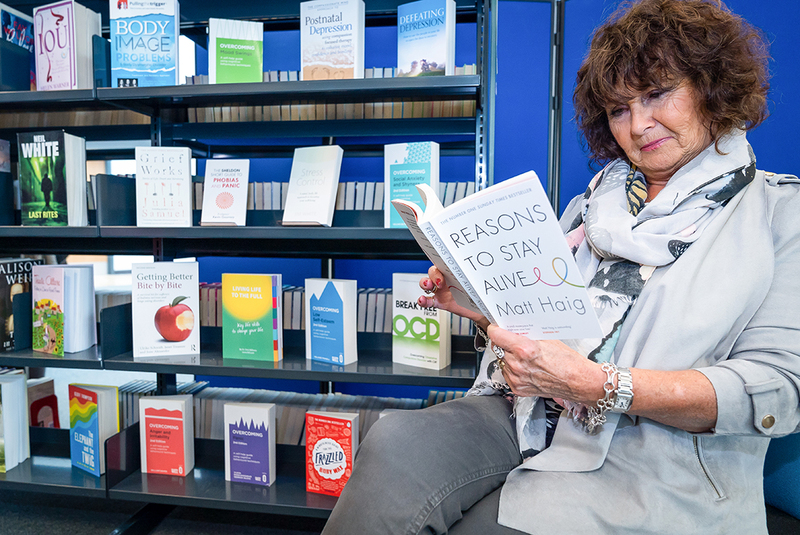 With the news that the government is to invest £4.5 million in social prescribing programmes across the country, we bring you a Reading Well best practice example from the health and wellbeing team at Shropshire Libraries. Social prescribing is a means of enabling GPs, health and social care professionals, the voluntary sector and other partners such as job centres and pharmacies, to refer people to a social prescribing advisor, who supports and refers patients to local services such as walking clubs, gardening or arts activities. By providing non-medical support, it aims to improve patients’ quality of life, health and wellbeing by recognising that health is affected by a range of social, economic and environmental factors, and by helping them take greater control over their own health. Evidence shows that this approach works: a UK study found that after 3 to 4 months, 80% of patients referred to a social prescribing scheme were paying fewer visits to A&E, outpatient appointments and inpatient admissions. Oswestry Library and North Mobile Library in Shropshire have been working in partnership with other community organisations on a social prescribing pilot scheme in the local area. The scheme means that when GPs identify patients who they feel would benefit from a health-promoting community intervention, they can direct them to Shropshire Council’s health service, Help2Change, where a friendly and experienced advisor is available to talk to the client about resources and services available in the library to help. The scheme also has the full support of Shropshire Council’s public health department, who has seen how working with Shropshire Libraries has helped to broaden their reach into communities and really “make a difference by working with partners to make health and wellbeing information available to the public” .